Hardy. 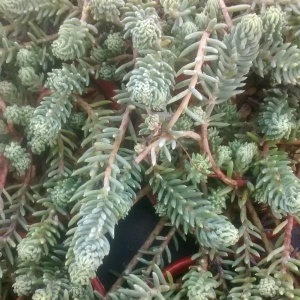 Drought tolerant stonecrop with blue foliage creeping across the ground. Prefers full sun in a free-draining soil. Good in pots/baskets/rockery a great plant.